Hi, I'm Teddy! 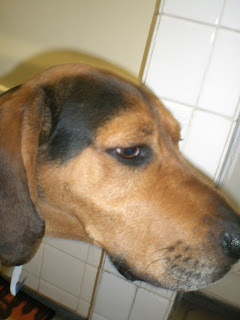 I am a 2 year old male Coonhound mix. 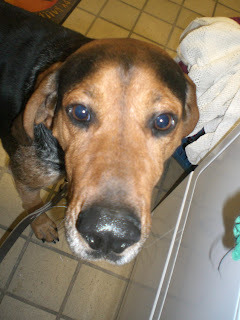 Susan thinks I might be mixed with a touch of Rottweiler, judging from my appearance. 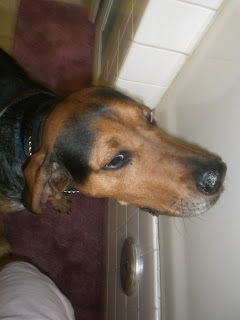 Otherwise, I have that classic "Gomer Pyle" Coonhound personality. I came in as a stray on December 12. For the moment I live in C222. 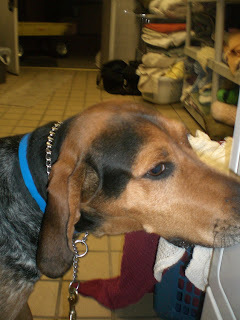 I did my share of sniffing in the laundry room tonight, as you can see from these pictures. 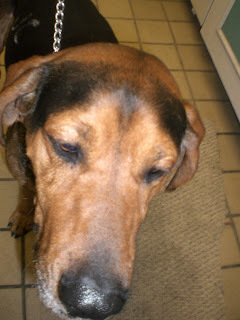 There are lots of fantastic dogs here that need loving homes! If you're thinking of getting a dog for somebody for Christmas, please bring your loved one down here to the shelter with you and let that person pick out the right dog. Hope to see you down here soon!